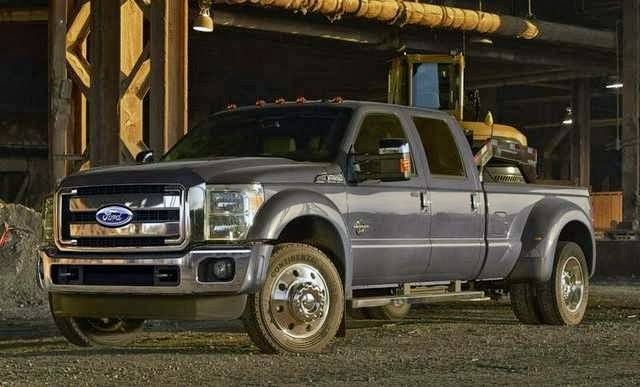 BRIGHTON, Mich. - Ford Motor Co. has announced that they will be upgrading its Super Duty pickups, with one specific F-series truck in mind - the F-450 truck. The 2015 Ford F-450 will be strengthened and upgraded for the 2015 model year and will be showed off at the State Fair of Texas this week. The 2015 Ford F-450 Super Duty model gets beefy with a more powerful engine, strengthened frame, suspension and new commercial grade tires. All of these upgrades will allow for increased towing capabilities. Although the exact towing capacity figures aren't available yet, Ford has confirmed that it will be more than the current model which pulls 24,700 pounds. The 2015 Ford Super Duty Model gets beefy with more powerful attributes and a frame that has been built tougher. While this vehicle won't be available to purchase until sometime next year, we do have a great selection of powerful New Ford Trucks currently on our lot. If you'd like to take one for a test drive, or talk about purchasing a Certified Pre-Owned Vehicle instead, we're more than happy to help! So stop by and see us today!